4 Critical SEO Metrics For Searcher Happiness and SEO Success. We launched Keylime Toolbox this week and I’ve already been getting lots of questions about SEO metrics. What data is most valuable to truly understand how your site is performing in unpaid search and to improve that performance? I built Keylime Toolbox for exactly this purpose — to track the SEO metrics that matter most. My approach to success in search has always focused on the audience: what do they need and how well does your site meet those needs? Ultimately, all of the twists and turns and changes in Google’s algorithms are focused on finding and ranking pages that best answer searcher questions. 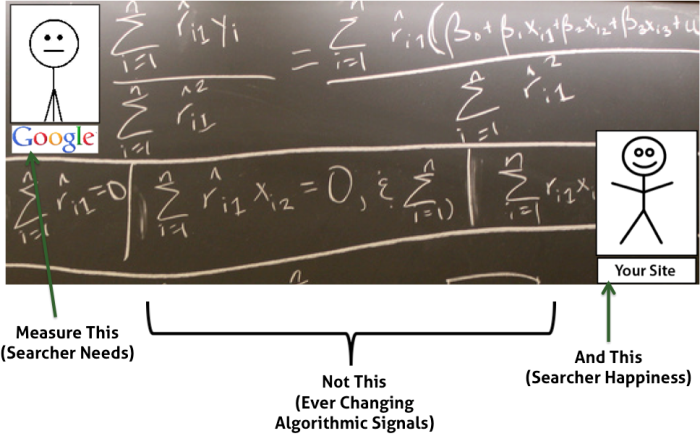 Yet many commonly tracked SEO metrics just focus on the twists and turns of the algorithms. Tracking searcher needs and happiness can be pretty difficult and time consuming, especially in our current world of “not provided” query data (which can make the task impossible in some ways). That’s why we built Keylime Toolbox. 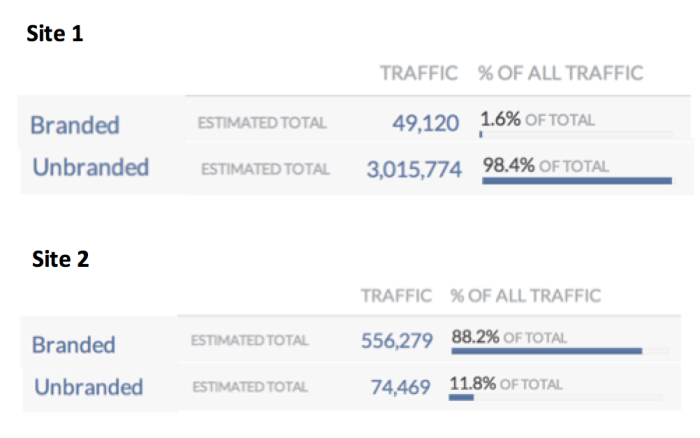 It’s hard to know what your audience is looking for if you can’t see their searches, so the first thing Keylime Toolbox does is recover as many “not provided” queries as possible (and often gets the percentage down from around 90% to under 50%). That provides a great foundation for tracking the important stuff. For now, let’s look at metrics that can help measure overall SEO health and searcher happiness. How well does your site show up in search results? Is anyone clicking on your results? What happens when searchers get to your site? 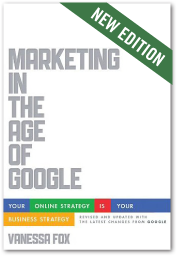 Understanding your audiences’ needs and ensuring you are making them happy have always been important, and that importance has only increased in a post-Google Panda landscape. Why aren’t you getting traffic for queries you expect and how should you address searcher questions you’re not answering? Are the target pages the most relevant and useful for the query segment? Can you implement a content strategy to improve those pages and add new ones that solve searcher problems? Why aren’t searchers clicking on your result? How does your search results display compare to the other search results? Can your add rich snippets or adjust titles and descriptions to better showcase your pages? Why are qualified visitors bouncing from your site? Does the page clearly and obviously answer the searcher question? Is relevant content above the fold? Is the user experience easy? Does the page have clutter that obscures the content or relevant related links? Why aren’t qualified visitors converting? Does the page have a clear call to action that is relevant to the searcher topic? Does the call to action include motivating value propositions that compel the visitor? 1. What is your target audience searching for? Ideally, you want to see a good mix of both branded and unbranded search traffic. All branded searches means that the site isn’t being found for those searching any topics related to you. And all unbranded searches means that you haven’t built up any positive brand awareness. Are some topic areas not getting any visibility? 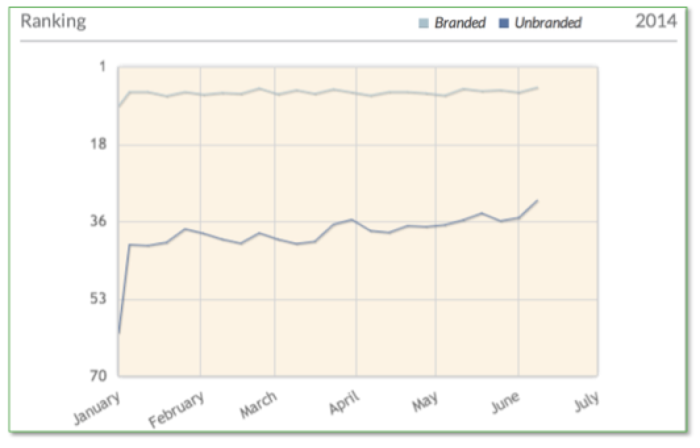 if you look at only page-level traffic, you might assume you are getting traffic to those topics but what if it’s all branded? or unqualified? Percentage of unqualified traffic? How much traffic is to the topic areas you care about most? Are content investments paying off with traffic from relevant queries? It’s rare for a site to have entirely qualified traffic, but you want to know if the site is mostly getting traffic from untargeted queries. Keylime Toolbox monitors this segment of traffic for you. In some cases, this alerts you of new customer needs that you may want to better account for. In other cases, it can help you better understand your search traffic generally. If you’re getting a lot of search traffic but it’s not converting, this could be because much of it isn’t traffic from your target customers. 2. How Well Does Your Site Show up in Search Results? 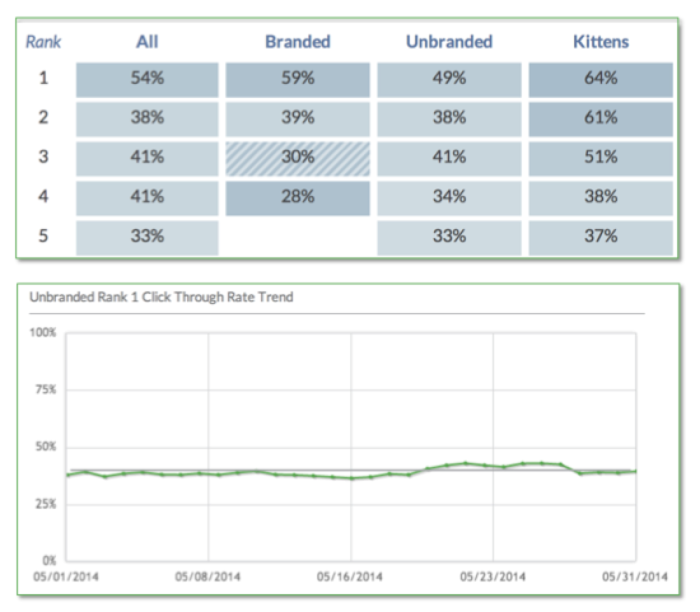 Historically, SEO was often measured with rankings reports. Ranking reports are problematic for a bunch of reasons, not least of which is that since they’re based on a static list of keywords, the picture can be pretty skewed. Using query segmentation in Keylime Toolbox, you can measure all related queries (variations, synonyms, and so on) rather than individual keywords. Below, you can see that the site gets just over 1% of traffic from kitten-related queries. The query that brings the most traffic is [cat videos], but Keylime Toolbox has found 824 related queries (the site ranks #1 for 38 of them). The overall ranking trend is slightly down for the set of queries for the month of April. Monitoring SEO by segment rather than keyword is useful to separately seasonality from ranking issues as well. 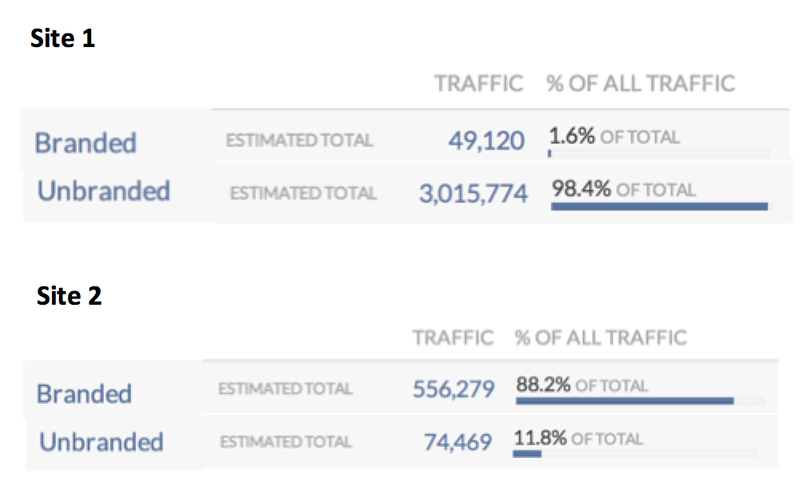 Below, you can see that traffic is down, but just for a particular topic area. 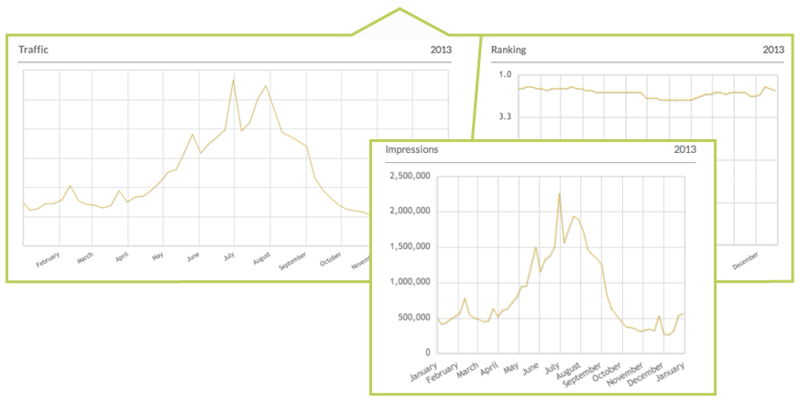 A closer look shows that ranking has stayed consistent, but search volume is down. 3. Is Anyone Clicking on Your Results? Ranking is one thing, but is anyone clicking on your site in search results? 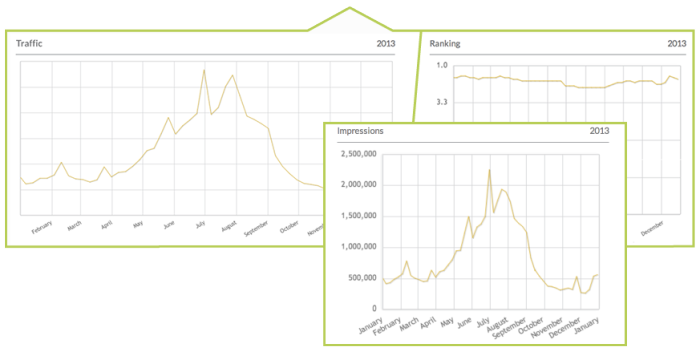 Keylime Toolbox calculates click through rates for each query segment at each ranking position and tracks those trends over time. Are click through rates low for a particular query segment? Ensure the display (title, description, rich snippets, and so on) is as compelling and descriptive as possible. Did click through rates go down? Investigate whether something changed. 4. What Happens When Searchers Get To Your Site? OK, great. Now you’re monitoring whether you’re getting a good ratio of branded vs. unbranded search traffic. You know what topic areas your audience is most interested in. You know how well the site ranks for those topic areas and if searchers are clicking on your result. What happens when searchers land on the page? Engagement metrics are important for all sites. How many searchers are landing on your site and immediately bouncing? How long are searchers staying on the site? How many pages are they viewing? Keylime Toolbox pulls in this data from Google Analytics for all queries that are provided and then aggregates the data at the topic level. In the example below, you can see how the site engages those searching for kittens-related queries compared to other topic areas. 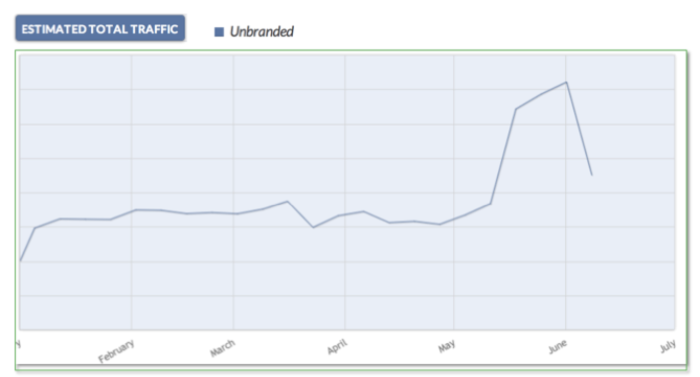 Monitoring overall unpaid search traffic alone doesn’t provide any insight into the quality of that traffic. And it doesn’t tell you anything about your audience or what they’re looking for. Search is about connecting with people right when they want something with exactly what they want. With Keylime Toolbox, our goal is to help you do that. Thanks for sharing deep seo analysis . Not only “Tracking Searcher Needs and Searcher Happiness” SEO is all about getting found to searchers and fulfill requirement of them.